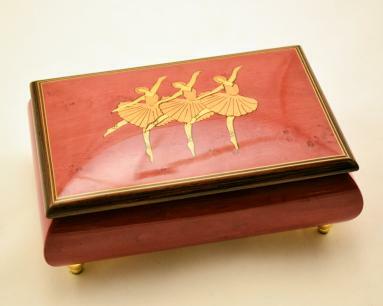 This music box which sports a glossy finish is any girl’s dream. 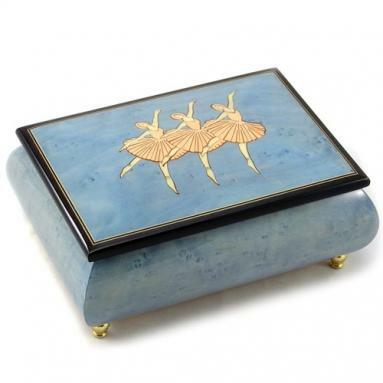 The powder blue color is so soft that it gives the box a delicate quality. The lid of this Sorrento box is inlaid with three ballerinas in the middle of a performance. 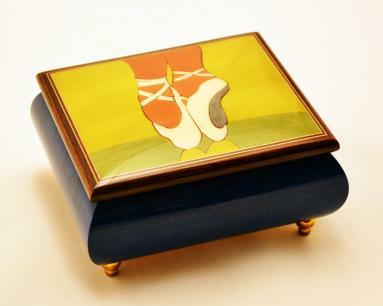 The inlay is done with great skill by the traditional Italian artisans. Their stance is so perfect that it will inspire any girl, who nurses an ambition to be a ballerina one day. 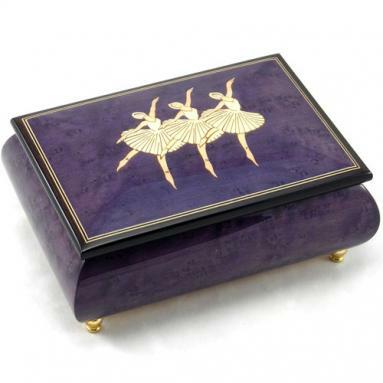 The inside of this music box is fitted with a jewelry compartment. This is a suitable gift for a girl.